Since this is the beginning of the school year, and the Rialto Unified School District has expressed interest in collaborating with us, we need to take this opportunity to begin planning our next community action project in Rialto. 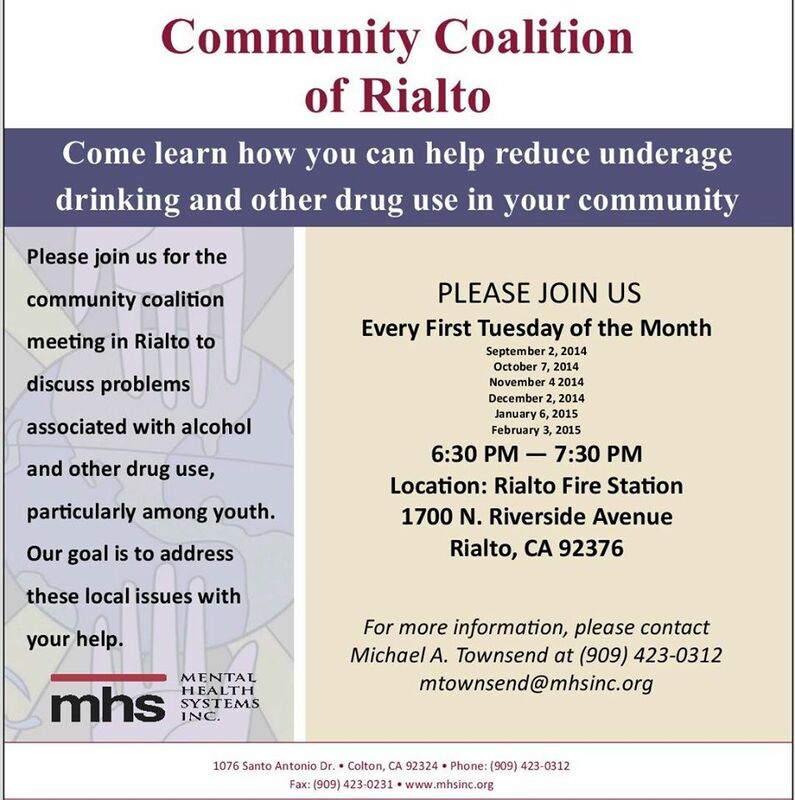 You are needed now, more than ever, to emphasize the dangers and consequences of underage drinking and drug use to students (and adults) in Rialto. The Coalition will be going over its next community action project slated for November come out and help them make this project the best ever.